Casa Alberti can host up to 15 guests in 3 independent apartments. “La Torre”, characterized by the originai narrow windows has 3 beds and is made up of 1 room with a queen size bed, a living room with a sofa bed (with single bed), a dining room with kitchenette and 1 bathroom (with large shower). “Il Camino” has 8 beds and is made up of 3 bedrooms with queen size beds, a small living room with a sofa bed (with queen size bed), a living room with a large open hearth firepiace in “serena” stone, (a beautiful local stone), a dining room with a kitchenette and 2 bathrooms (with 1 large and 1 smaller shower). 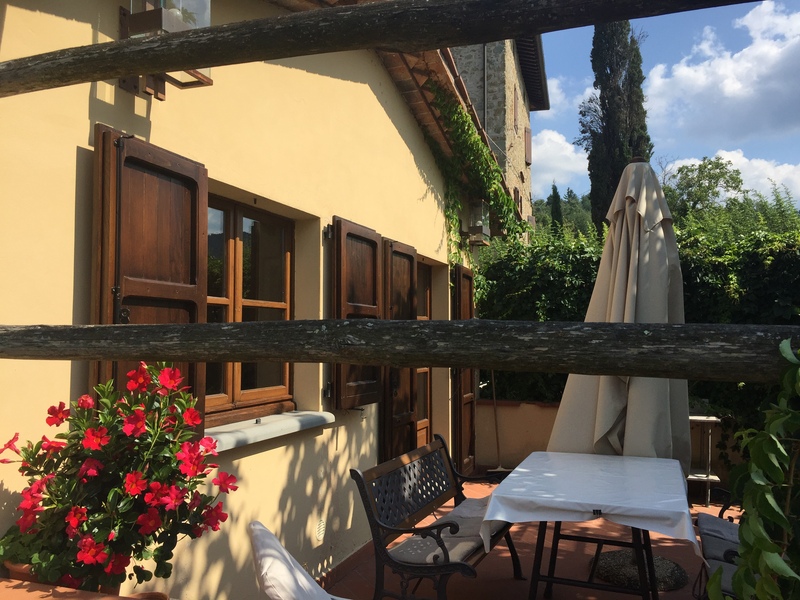 “Il Fienile” has 4 beds and is made up of 2 bedrooms (one double and one with a queen size bed), a living room with an open hearth fireplace, a dining room with a kitchenette and 1 bathroom (with large shower). 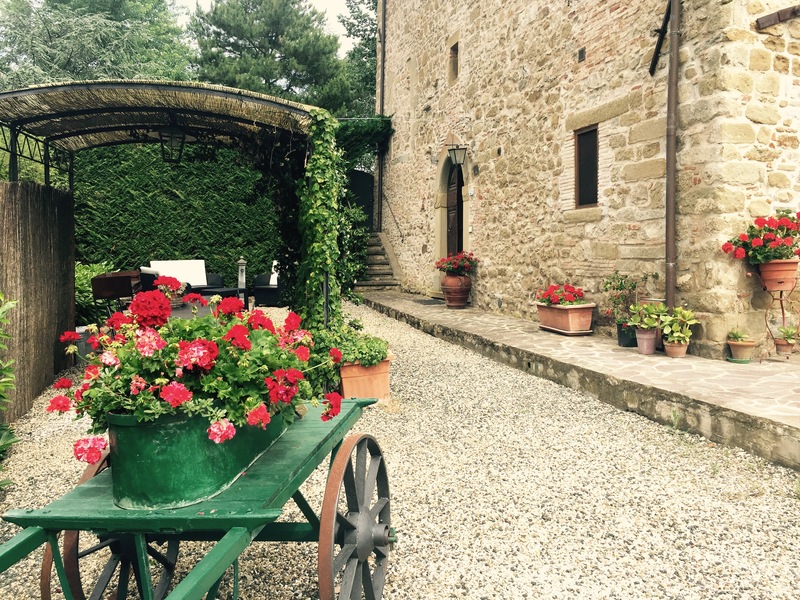 Each apartment is caringly furnished, combining typical country furnishings from the farmers’ tradition with beautiful antiques from Tuscany. Additionally each apartment has alli kinds of comforts amongst which a fully equipped kitchen, linens, washing machine, independent heating, satellite TV and internet WiFi connetion for free. Since Casa Alberti is an ancient construction with thick stone walls, newly insulated, it never requires the use of air conditioning, as it remains naturally comfortable.